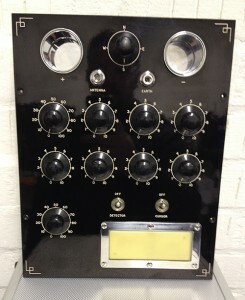 I have recently restored the control panel of this instrument. The tuning knobs are not in the best shape, but I have polished them as best I can and made necessary repairs. We have made a model of the old style knobs used on this instrument, but most manufacturer need a MOQ of 1000 pcs which is quite excessive just for a few restoration items. I have not been able to find any new old stock anywhere so we are stuck with the old ones. 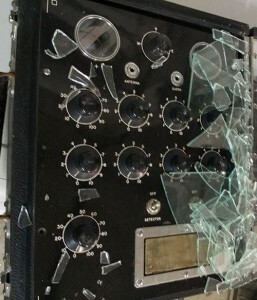 These knobs look to have taken damage from the broken glass while in transit. 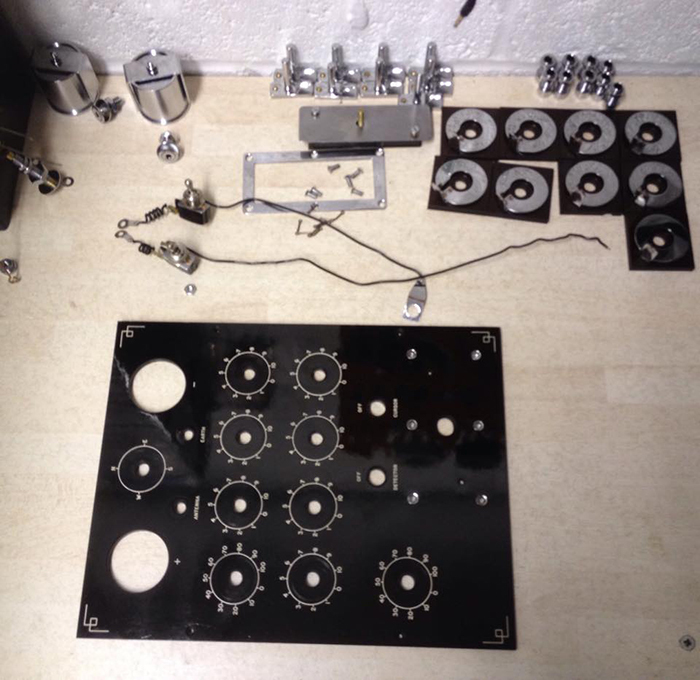 The process of restoring this panel required the complete disassembly of all the components. Well it didn’t NEED to be completely taken apart, but I’m a sucker for detail, and this way I was able to clean each and every piece of hardware. Furthermore it’s solve et coagula which allows me mastery over the instrument. All the parts are beautifully machined. 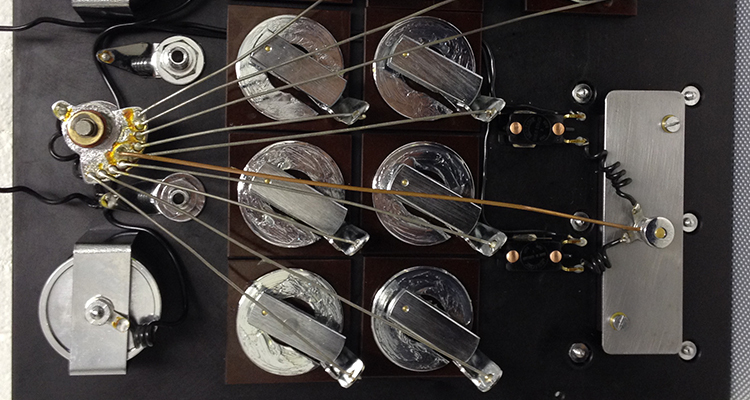 The rotors for the tuning assembly are split washers mounted to bakelite. de la Warrs theory was that this washer acted as a type of antenna that’s length could be altered by adjusting the rotor along it’s arc. The connection to the circuit is made by the rotor. 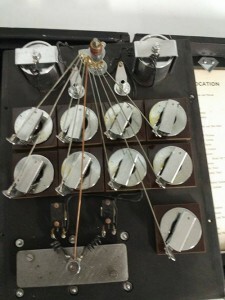 In later models they substituted this mechanical rotor with 1 Megaohm potentiometers that essentially perform the same function. Due to all the metal parts, I had to ditch my trusty soldering iron and use a propane torch, heat mat and solder pump to remove the central wires. In reverse when re-assembling I opted for a less invasive propane turboflame to solder the parts back together. 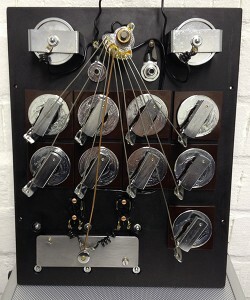 Once all cleaned the parts were assembled, grease applied to the rotor shafts, washers and magnetic tuner. A piece of latex was cut for the stick pad and the knobs reattached. Here is the results with before and after. This is as far as I have got for now. I will continue to work on the case next. I will be working on my skills with the Tolex by working on another project with a much simpler wrapping technique. I can then transfer my skills from that to this restoration. Once I’m back on this, I will post some updates.